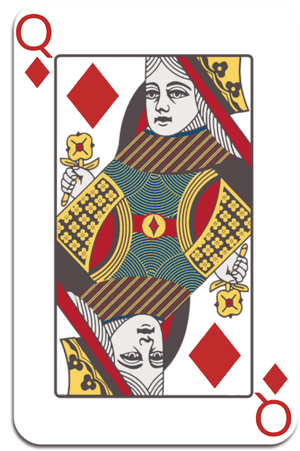 "The Queen of Diamonds can develop into deeply insightful, compassionate, and generous souls. It is the nature of a Queen to nurture and this one loves to spend money, so Queen of Diamonds can be lavish in her gift-giving. They must be careful not to overspend, financially or emotionally. The lesson here..."
Oy! If your Birth Card is the Six or Ace of Diamonds & you bought your Kit, you already have this report because of it's Royal Archetype status!